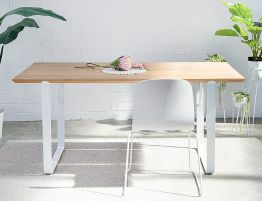 The Mila Dining Table Round - Natural - 70cm translates an architectural style into a warmer material palette with its liberal use of natural wood. 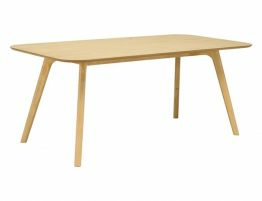 Our Mila Dining table ’s durable tabletop offers a smooth, low-maintenance ash wood surface that is ideally suited for work or dining. 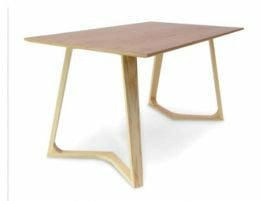 With a 70cm diameter, our designer dining table is sized to comfortably accommodate four diners and is an attractive and functional design for your café, restaurant or residential setting. Constructed for maximum stability, each of the three legs has been cut on the diagonal and juts outward for even weight distribution, stability and balance. Steel bracing adds additional stability and further design detail. 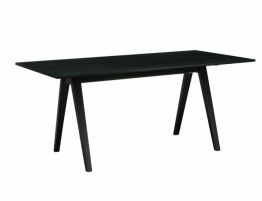 The Mila Dining table form adapts the general form of the girder to a remarkable support system for a striking round, modern dining table. 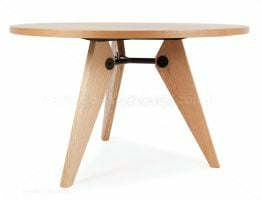 Our modern, Jean Prouve Gueridon reproduced round dining table can easily be in anchor piece in your modern dining room, rustic dining room or industrial dining room. 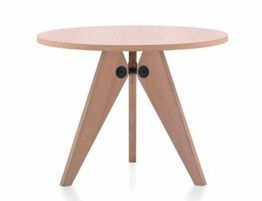 The Mila Dining table is offered in both circle and rectangular forms and in natural and walnut finishes. The Relaxhouse Mila Dining table looks great when paired with many of the designer chairs in the Relaxhouse furniture dining chair range.